With all the technological advances today the impact of 2D animations are often overlooked and neglected this lacking deep meaningful narratives that adds to a persons moral, educational or emotional growth. 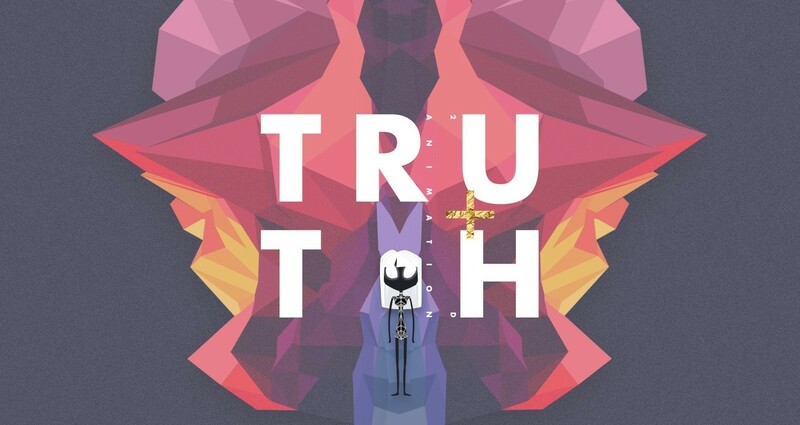 Truth aimed to produce an impactful short animation to challenge viewer to embrace their individuality and to break free from the norms of society. 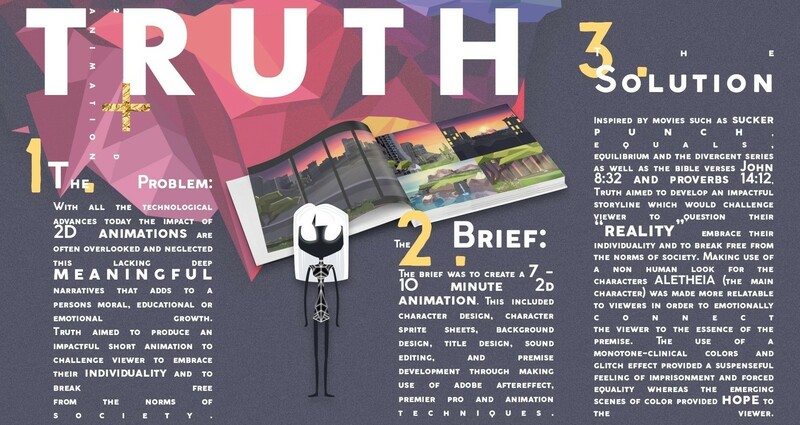 The brief was to create a 7 - 10 minute 2d animation. 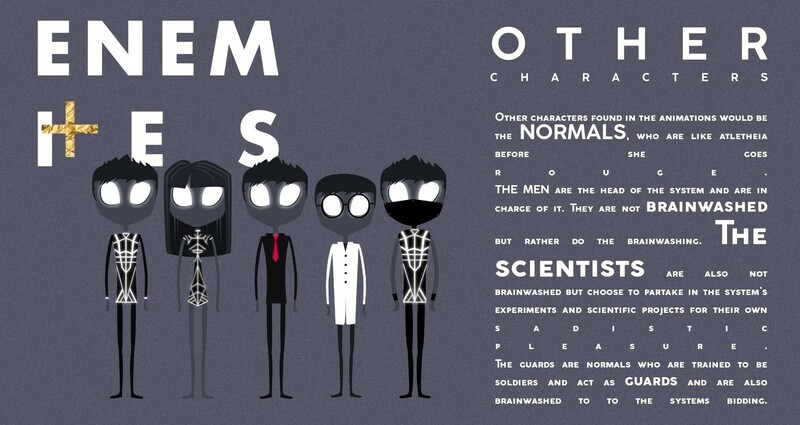 This included character design, character sprite sheets, background design, title design, sound editing, and premise development through making use of adobe aftereffect, premier pro and animation techniques. Inspired by movies such as sucker punch, equals, equilibrium and the divergent series as well as the bible verses John 8:32 and proverbs 14:12, Truth aimed to develop an impactful storyline which would challenge viewer to question their “reality” embrace their individuality and to break free from the norms of society. 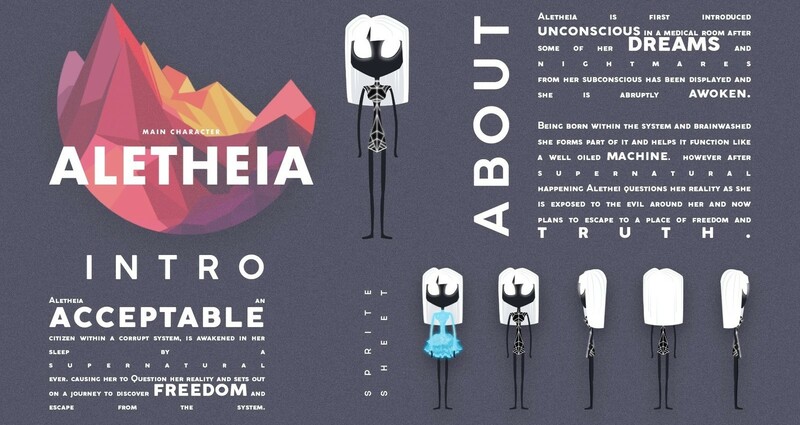 Making use of a non human look for the characters ALETHEIA (the main character) was made more relatable to viewers in order to emotionally connect the viewer to the essence of the premise. The use of a monotone-clinical colors and glitch effect provided a suspenseful feeling of imprisonment and forced equality whereas the emerging scenes of color provided hope to the viewer.